A black and white photograph of 1710 Charles Street. This is a south side view of one of the old houses in Port Whitby. It was demolished in 1971. 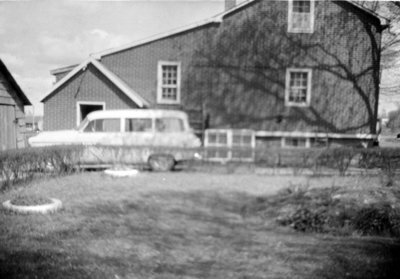 1710 Charles Street, 1959, Photographer Unknown. Whitby Archives 17-180-001.